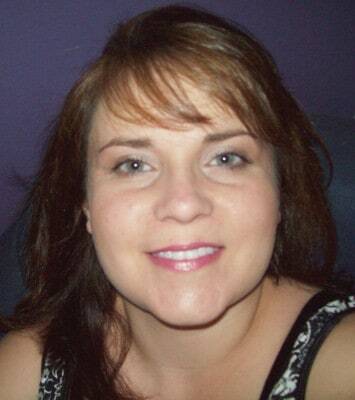 Christy Schutz is a communications professional, freelance writer, and WAHM. See how this Tampa Bay Mom was able to bring her job home so she could be readily available for her family. Tell us about your journey as a work-at-home mom. It started for me when my daughter was born two months premature. I had arranged to take an 8-week maternity leave, but, with her being so small, I felt like there was no way I could turn her over to someone else’s care once my leave was over. I was stuck in a real quandary. I wanted to give her a little more time, but, I also enjoyed my work, needed my full-time income, and my employer was starting to feel the pinch and really needed their employee back. So, I proposed a solution where I could work from home for six additional weeks after my leave was scheduled to be over. I proposed alternate hours (which accommodated both our clients and my baby’s needs), made arrangements for additional hands at home (Daddy made some adjustments in his schedule), and laid out the technology solutions and added resources I would need in order to be effective. I also suggested a phased approach where I would start to increase the number of hours and days each week that I would physically spend in the office until I had completely transitioned back into the office. Lastly, I gave management the power of an out— we all agreed to talk about it immediately and renegotiate the terms (which could mean my immediate return to the office) if it wasn’t working. This was a very progressive idea at the time (my daughter is now 11 years old, and telecommuting was a rarity in Corporate America or my industry at that time). I was VERY fortunate that my immediate managers were both women and they understood first-hand the pressures of balancing family and work. They gave my plan a shot, and it proved to be a successful experiment. From that point forward, my colleagues and I would sit down and hammer out similar work from home arrangements if we weren’t feeling 100 percent, if our kids were sick, if we needed to attend to an occasional household need (i.e., the cable guy was coming sometime between the hours of 9am-5pm), etc. How were you able to bring your current position home? Once my colleagues and management team got more comfortable with the work from home arrangement (and made the realization that the company would continue to be profitable, the clients would be satisfied, and employee retention would increase), we relaxed and were able to identify some other great benefits from working at home. If we had complex reports, proposals, or projects that required intense focus and limited interruptions, we’d purposely choose to do them from home and would find ourselves infinitely more productive. I was given the opportunity to transition into a role that would include a lot more of this (especially proposal writing), so, everyone involved agreed it would be better if I just planned to work from home a couple of days a week every week. The more successful I was in this new position, the more work I was given, and, next thing I know, it was suggested that I completely transition out of the office. I’ve been working from home full-time since 2006, and ironically, now a large percentage of the employees in my organization are “remote” work from home employees. Are there any tips you would recommend to people who want to do the same thing? If you are going to propose a work from home arrangement to your boss, I would recommend that you do your homework and really try to map out everything that would be needed in order to be successful. Can you do the tasks required of you from home or does your job really require face time at the office? What perception does your boss and colleagues have about other individuals and organizations that support work from home arrangements? What type of technology would you need? What equipment are you willing to provide (so that it does not present a financial burden on your employer)? How would it affect the people who work with you? How would it affect your customers/clients? How would you stay plugged into the daily activities at your office? How would you continue your professional development? How would your boss measure your productivity? And how about your family; how would a work-at-home arrangement effect them? If married with kids, what expectations would you have of your spouse and children while you are working (and are they realistic)? Depending on where you decide to locate your office, does it interfere with other activities that are going in at your home during work hours? Once you really have a clear picture of your particular work-at-home scenario, you can start to think about how you are going to get past the challenges. A plan that identifies the challenges and possible solutions are much easier for your manager to process and actually consider. How many hours do you work a week and how much time do you spend in your home office? Depending on my workflow, I will typically work 40-50 hours from my home office. Initially, striking the right balance and setting expectations is probably the biggest challenge. Professionally, you are trying to establish the notion that you are still productive in your professional role (and you’re not sitting on the couch watching Oprah), while also communicating that you will not be on-call 24-hours a day either. Personally, you will not always be accessible to your family and will have to pull away sometimes in order to get some work done (e.g., if you have a late afternoon conference call with your boss, you won’t be able to stop work to cook a gourmet dinner that evening). Just like with any other professional, briefcase-toting woman or hardworking, Martha Stewart-esque domestic goddess, it is all about multi-tasking, keeping a calendar, prioritizing my personal and business “to-do” lists daily, and knowing when to have work time and family time. What do you enjoy about working at home? Anything you dislike? It is true that you can be more relaxed (some work at home women take care of business in their PJs), skip the commute, and enjoy some flexibility between business and personal tasks. But what I like best is my ability to really focus. My house is completely quiet, and with the exception of intermittent phone calls, I can totally focus in on my work. I find I can create, write, problem-solve, and plan in a way that I never could before. As a result, my work is more productive and fulfilling. Besides working for your current employer you have some side projects that you’re working on, tell us about them. Yes, I am the City Leader of a fantastic, “shop local” book project called CRAVE Tampa Bay. CRAVE is savvy, quality-of-lifestyle book devoted entirely to the best local businesses owned/co-owned by women in select metropolitan cities. I believe that most women would happily choose to spend their money in women-owned businesses, they just don't know where these businesses are or that they were women-owned in the first place. In addition, many consumers do not understand the power of shopping locally until we educate them about how much of those dollars stay in our communities. Lastly, by introducing our readers to the savvy businesswomen in the CRAVE Tampa Bay book, we hope to inspire other women to consider their own entrepreneurial endeavors. CRAVE is all about building a strong economic sisterhood– supporting and connecting local women to local businesses and saving and encouraging our neighborhood entrepreneurs. What advice would you give to a new work-at-home woman? Be flexible and creative. Work-at-home arrangements are different for each person, and, can often change over the course of your career and personal life. For example, as my children have gotten older, I’ve found that I can dedicate more weekend and evening time to projects than I could before (because nowadays they are often out working part-time, hanging out with friends, or participating in various activities anyway). Or, a newly married work-at-home woman with a passion for cooking may try to make arrangements to start and stop work earlier (e.g., 7am-3pm), so she spends her time creating culinary masterpieces and enjoying them with her hubby. The bottom line is, your work and personal demands will change over time, and there is nothing wrong with that. Find solutions that work for you by being open, flexible, and creative!